Recently I was doing an import of a clients database from production which was so so in size. But I was installing it on a fresh install of WAMP Server. First it died because of upload_max_filesize inside the php.ini, that one is a simple one. 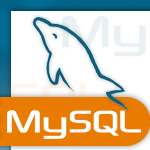 After changing that to a size larger than the db import script PHPMYADMIN threw the #2006 MySQL server has gone away. After scouring the web and the mysql site and found that if a packet is too large the mysql connection will be closed. By default it was set to 1M and 60 seemed to be plenty to do the trick. One Response to "#2006 MySQL server has gone away"
Yeah, making key_buffer and max_allowed_packet 16M usually solves this issue.